The image above (click the image for a full resolution version) shows the huge fan structure associated with the edges of the active region at about 22:00 UT on November 12. 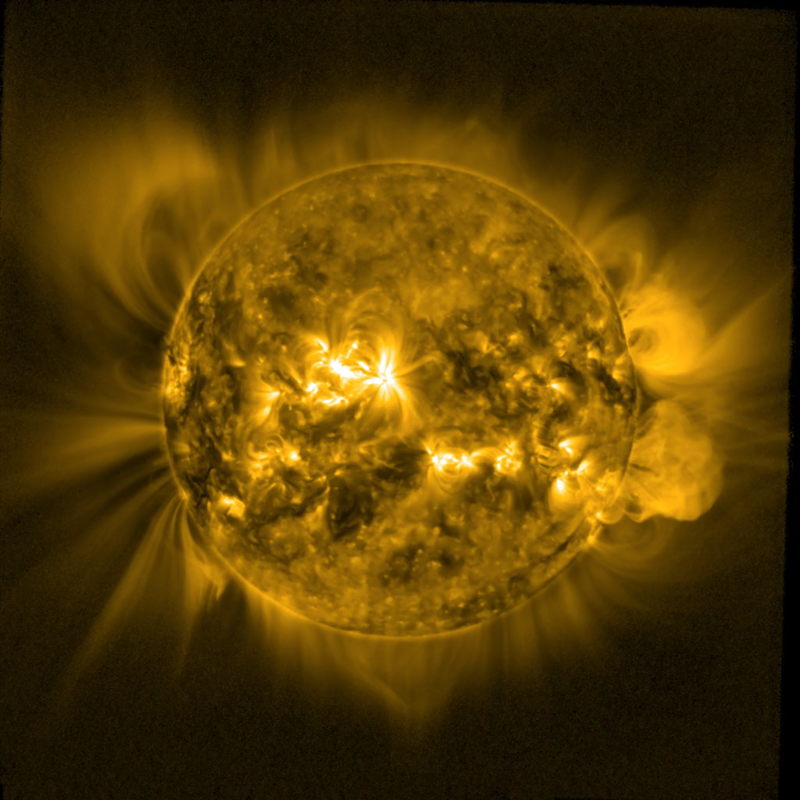 PROBA2 conducted an off-point maneuver to extend its field of view further to the east, and the resuling images were combined with sun-centered images to produce a wide field mosaic. 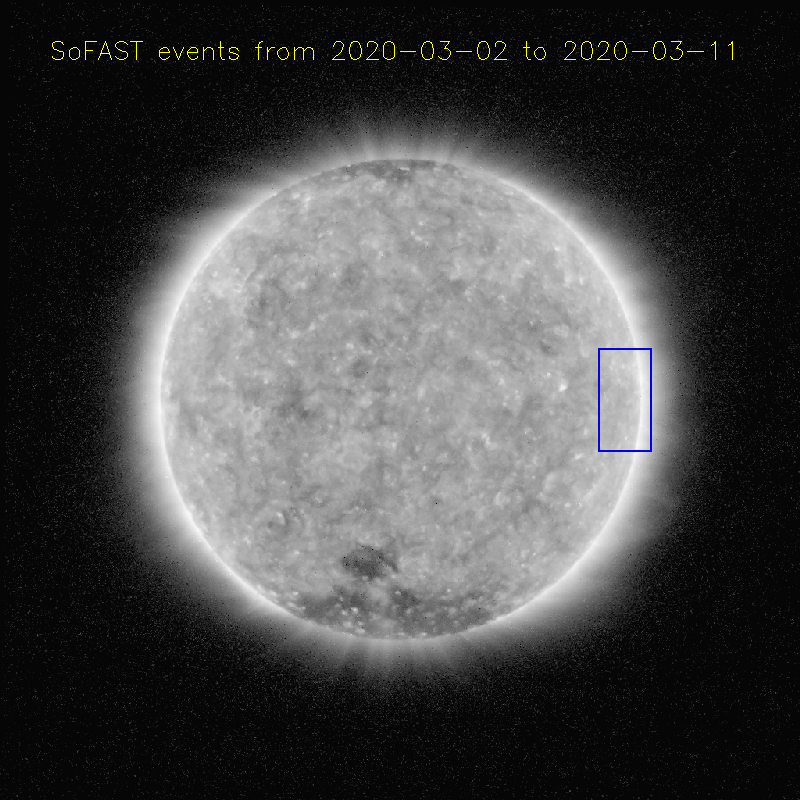 The dotted lines indicate the standard field-of-view of SWAP, AIA on-board SDO, and the dashed line indicated a distance of two solar radii, showing the fan structure is truly huge. 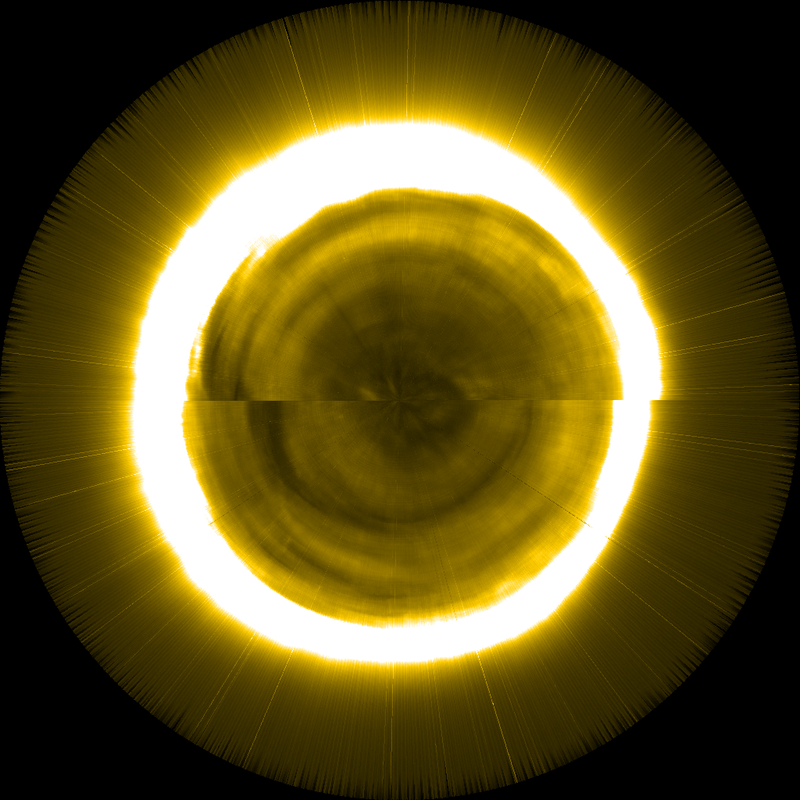 An alternate version of this image, without the overlaid labels, is available here. 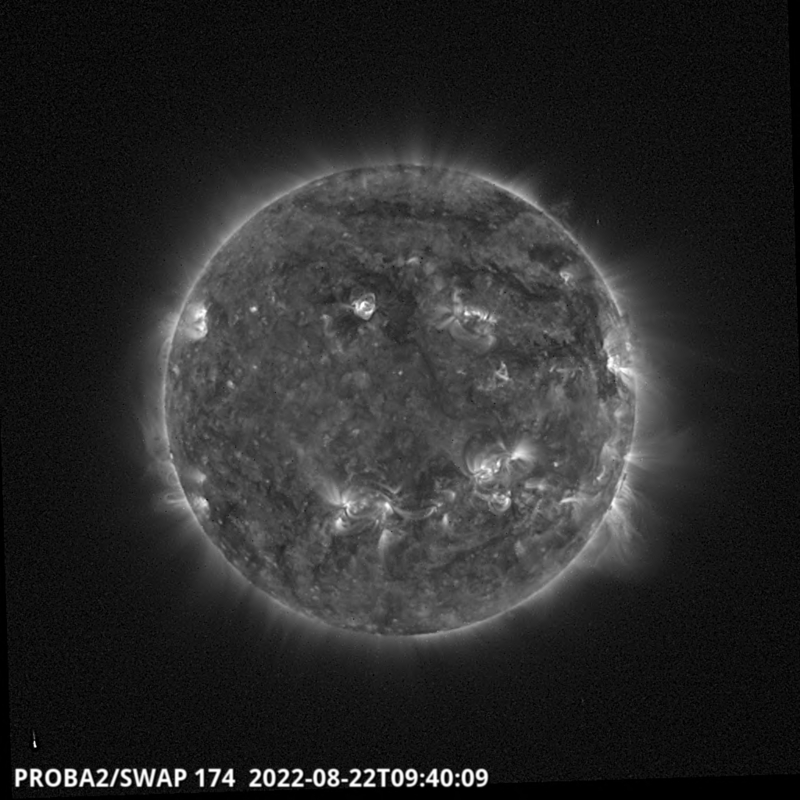 PROBA2 will continue to conduct special operations to observe the region's structure and any flare activity it produces. 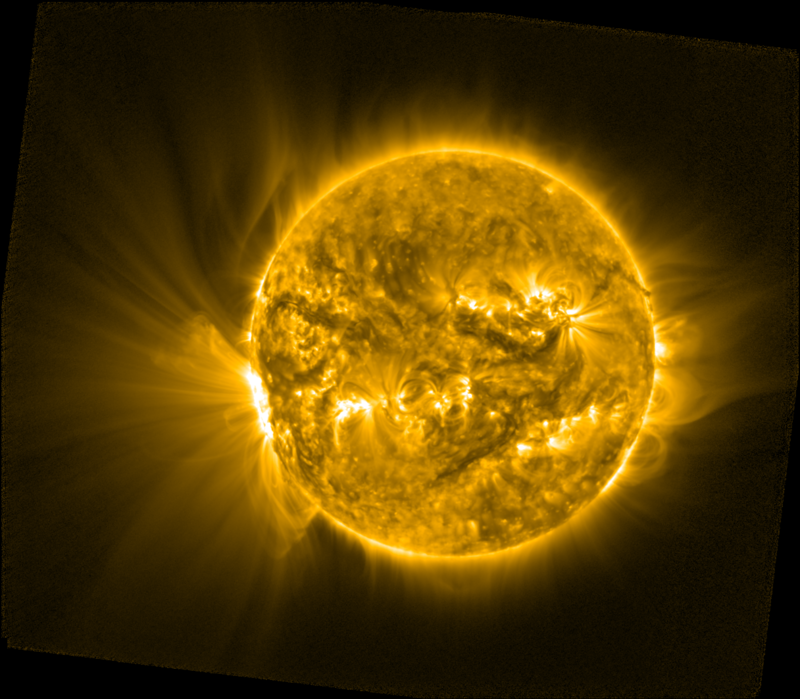 Check back for updates as this huge active region crosses the sun.